Check out our web and mobile solutions for tire retail and repair shops. Our technology is integrated into the leading automotive POS platforms. We manage software and data projects for automotive manufacturers. 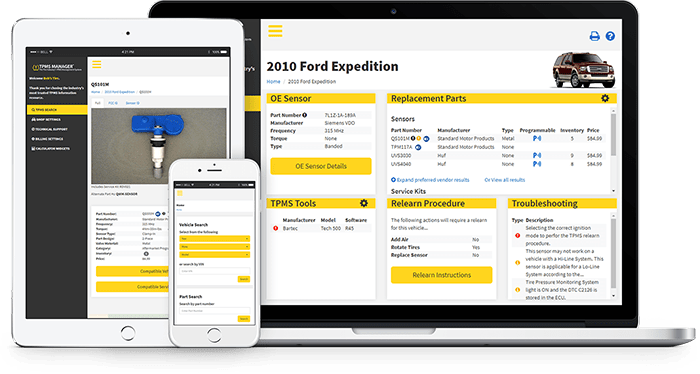 TPMS MANAGER™ is an innovative online software product that gives shops critical information related to the servicing of vehicles equipped with tire pressure monitoring systems. Using a hybrid of interactive cataloging, practical “how to” instructions, reporting and intelligent notifications. TPMS MANAGER™ is the most comprehensive TPMS management solution available in the market. TPMS Manager™ is an easy to use solution for managing the complexities of TPMS service. Tiremetrix has done a great job in developing a product that we rely on to get the information we need. With the passing of the FAST Act, tire shops will be taking on a bigger burden when it comes to registering tires. 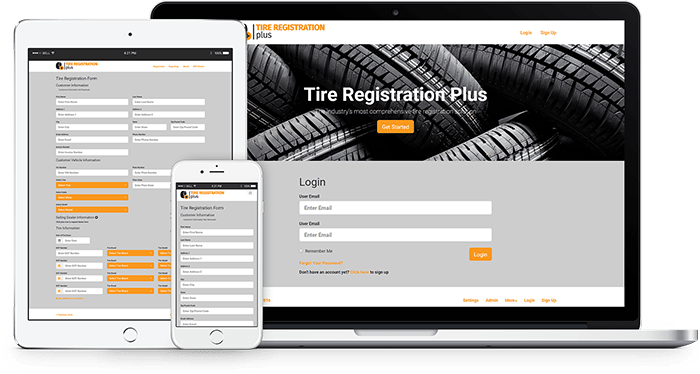 We built Tire Registration Plus to provide shops with an easy to use tool to help them comply with federal regulations. Our industry leading features include all brand registration, DOT validation, recall search, notifications, and much more. Learn more about how we can help protect your business and your customers. Tiremetrix built an extremely useful solution that helps our dealers register tires directly with the manufacturer, validate DOT numbers and check for recalls, all in one easy step.